Today started with a nice breakfast at CB. John and Bob joined Sharon and I. We had a couple of sprinkles on the way to the restaurant but the rest of the day was rain free. John was nice enough to volunteer to lead and we drove down to Ringgold and took the 151 route that we’ve taken before. It’s a much prettier route than straight down 27 even if it was overcast. Thanks John! The turnout for the show was the smallest I’ve seen at the event. The threat of rain must have been a big factor. I took some pics and they’re posted at the link below. 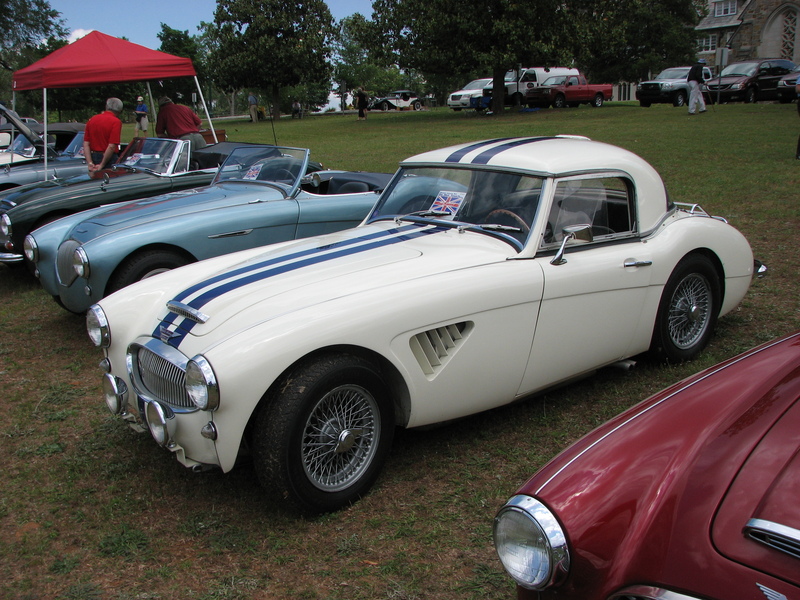 Maybe next year will be better and we also have the Southern British Car Clubs’ (Chattanooga club) event in November (11/3/12) if you missed todays’ show. It’s not as big but is usually a very good show. I led Brooks Northern, Terry Johnson and Bill “Sureshot” Branning on a quick Dragon Impromptu run today. We made two quick runs and were home by 1:00pm! Our first run was clear all the way to the Motorcycle resort. Our second run was slowed by a Camery about half way. Fun was had by all. Here’s a picture I made of our cars at the overlook. 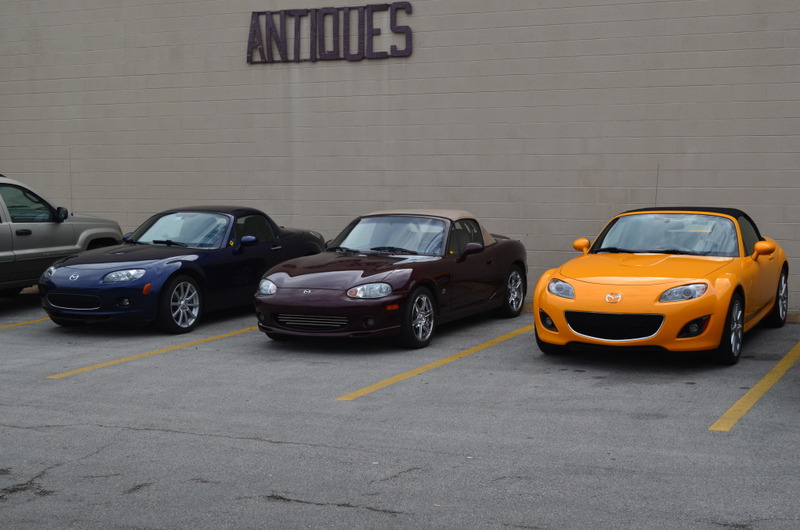 Left to right is my Copper Red 2007, Brooks’ Sunlight Silver 2001, Terry’s True Red 2010 and Sureshot’s White 1991. You can click on the image to see a full size version. We had a great time on the Christmas Lights Run Sunday night! After some good food and good conversation at Panera, Bob did a great job taking us around to some Chattanooga neighborhoods with some pretty good lights. He saved the best for last with a true “grand finale!” Thanks Bob for keeping the tradition alive, and thanks to all that came out and supported the event. We can’t wait for next year! Yes, I did decide to decorate my Miata with Christmas lights. Maybe that wasn’t the best idea I’ve ever had. lol I’ll be peeling off that double-sided tape until spring! Please excuse my poor photography skills. It’s a new camera so I can still blame them on that for now.